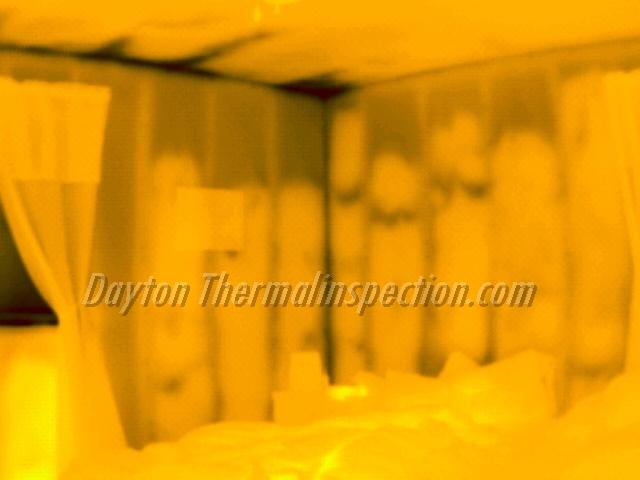 Insulation and air infiltration aren't always to blame for uncomfortable rooms and high energy bills. 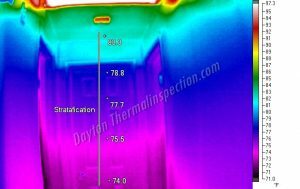 Furnace and air conditioning systems can be a primary culprit as was the case in this home (image right). A phenomenon known as stratification was occurring where a 10 degree F difference between the floor and ceiling is present. 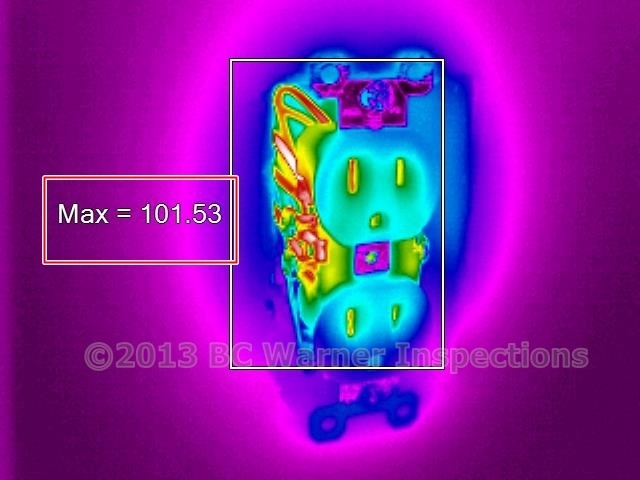 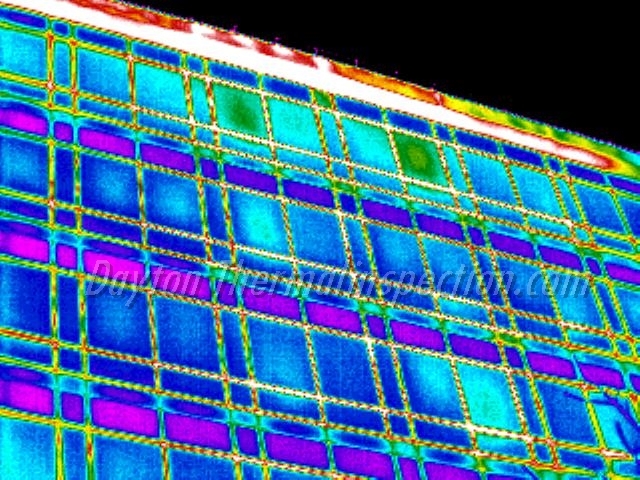 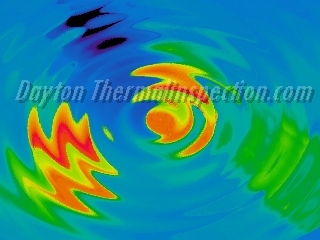 The air stratifies or becomes layered and can be viewed quite easily with infrared thermal imaging. 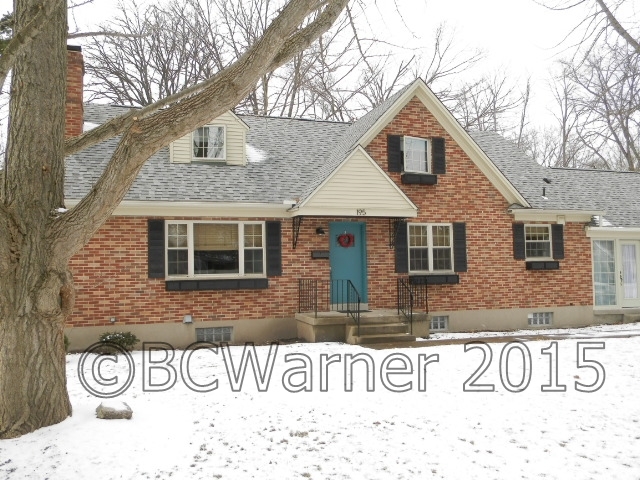 This home was built in the 1950's and was originally designed for a heating system only. 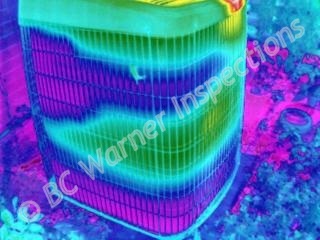 Many years later a central air conditioner was added without redesigning the distribution system (ducts). 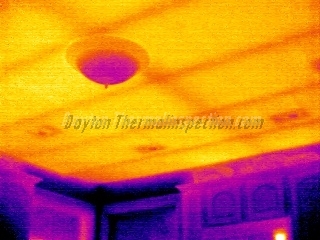 Supply vents were located in the floor of every room at exterior walls, and one central return vent was located in the central hall at the floor. 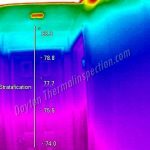 This system was not designed for air conditioning resulting in uneven distribution of conditioned air, uncomfortable rooms, and ultimately higher utility bills. 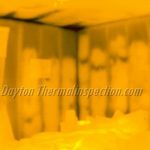 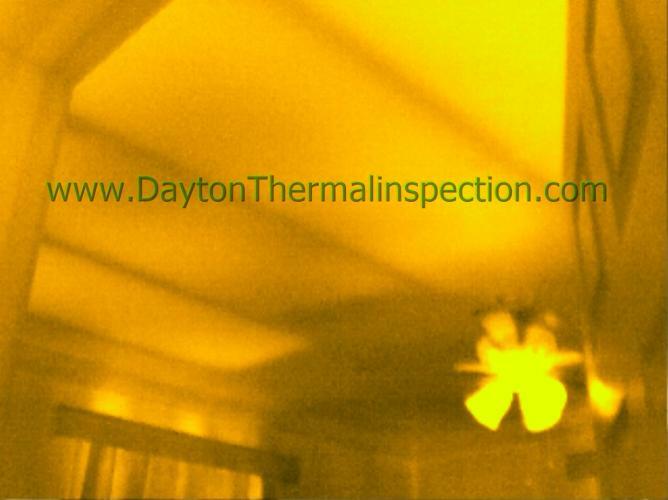 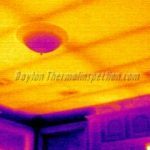 Infrared thermal imaging helped this Dayton client identify the issues without needlessly throwing money at other repairs that would not have provided benefit.